Join us Thursday, April 11, 2019 at 7:30 pm for a live show with Larry Sparks & The Lonesome Ramblers. Tickets are $20 advance, $25 day of show. A free meet and greet with Larry will be held at County Sales (down the street) at 5:00pm. Larry Sparks is a dedicated leader for bluegrass music. Larry is among the most widely known and respected touring musicians in bluegrass and gospel music today. 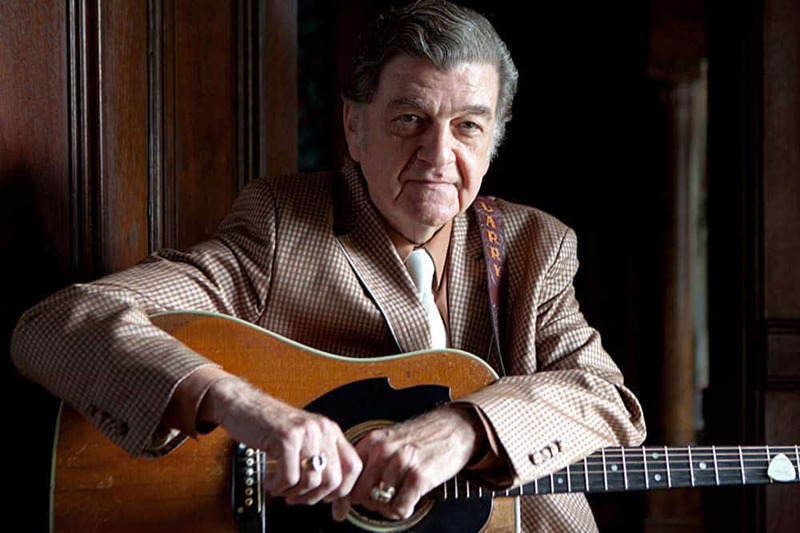 Larry began his career in the mid-1960s as a guitarist with the Stanley Brothers and later became lead vocalist for Ralph Stanley and the Clinch Mountain Boys. Larry went on to form his own band in 1969. (The Lonesome Ramblers) He has recorded and toured with his band for nearly 50 years, releasing over 60 albums and delighting countless fans with his soulful vocals and unparalleled musicianship. Releasing such hits as John Deere Tractor, A Face in the Crowd, Tennessee 1949, Blue Virginia Blues, I Just Want To Thank You Lord. Love of the Mountains, Goodbye Little Darlin, You Could Have Called, Tribute to Hank Williams, Green Pastures in the Sky and the list goes on. Larry has performed on such world famous venues as the Grand Ole Opry, Austin City Limits television show on PBS. Song of the Mountains on PBS. Also having toured the United States, Canada, and Japan. Larry has been recognized as the International Bluegrass Music Associations Male Vocalist of the Year. Larry also was awarded Album of the Year and Recorded Event of the Year with his album Larry Sparks 40 featuring several artists such as Alison Krauss, Vince Gill, Ralph Stanley, Ricky Skaggs, Tom T. Hall and many more. Larry was inducted into The International Bluegrass Music Hall Of Fame Oct 1st 2015. Larry received the honor of being inducted into the Bill Monroe Bluegrass Hall of Fame. He has also been inducted into The George D. Hays Hall of Fame Founder of The Grand Ole Opry. Larrys 50th Celebration CD came was released in the spring of 2014. Featuring Bluegrass Legends. Ralph Stanley, Curly Seckler, Bobby Osborne, Jesse McReynolds, Alison Krauss and Judy Marshall. While Sparks is most definitely a stylist and his approach to the music is more than a style, it is real with no gimmicks. After fifty years in the spotlight, Larry is still on a roll and creating some of his best music. Sparks style is mature, seasoned and deeply expressive. Throughout his long career Larry has stuck with what works. He has followed his vision and he has made an enormous contribution to the music. Larry Sparks has kept his music real.